← One Step Closer to Downtown OP’s University of Chicago Medical Center! 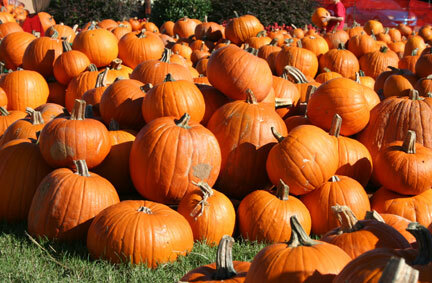 Looking for a pumpkin patch in the area but not sure where to start? Are the kids hoping to score that perfect pumpkin? You are in luck, because over at toddlingaroundchicagoland.com is a complete list of patches, hours, amenities and prices to help you on your way. Be sure to call to verify information posted before venturing out to be sure of hours and events. For a list that encompasses a larger area, visit pumpkinpatchesandmore.com and choose your region. Here is their Chicagoland list. Good luck and happy pumpkin picking! This entry was posted in Family, Kids, Life, Local Businesses, Parenting and tagged chicago pumpkin patches, corn mazes, hayrides, illinois, list of pumpkin patches, orland park pumpkins, pumpkin patch, pumpkins chicago. Bookmark the permalink.